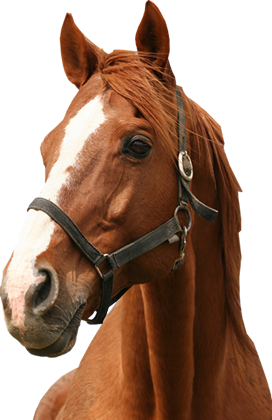 Global Herbs helps horses reach their full potential, naturally. SuperCalm Instant Syringe – BUY ONE, GET ONE FREE! Global Herbs provides sophisticated and highly effective herbal products that fuse modern high-tech approaches with the world’s most ancient herbal traditions. No chemicals, just 100% natural herbs. Global Herbs was founded by Stephen Ashdown MRCVS after his work overseas revealed to him the power of herbs and natural therapies. We bought my horse Finley in September 2017 and the previous owner said he was prone to mud fever. In fact, he had a small patch on his hind leg when he arrived. I began using Mud X straight away after it was recommended to me and not only did the patch clear up but he has not had another out break since I began feeding him Mud X. His skin is in perfect condition despite the dreadful winter we had last year. I continue to give him Mud X and would recommend it to anyone with a horse prone to mud fever. Summer is the time to enjoy being outside with our horses, however, it is also the season of flies, pollen and lush grass, all of which bring their challenges! Global Herbs has a range of herbal products to address all of these issues, along with calming, digestion and mobility supplements – so you can keep your horse healthy, happy and performing its best, all summer long! Use voucher code GHLP19 at the checkout and receive £5 off 1kg LamiPro Powder on us! Every now and then you stumble across something special. Global Herbs is a special organisation that aims to keep the horse you love in top form. Global Herbs is special because it was started by Stephen, a vet working in Africa who had a vision to escape the chemical world and bring God’s original source of natural wellness into your hands.